Are you still use the loaded dice? Do you looking for the infrared lenses to see through the cup for the dice? Can you believe that as crystal clear as Las Vegas dice could be a remote control dice? 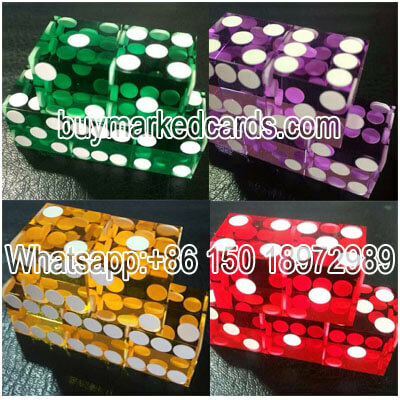 Yes, Buymarkedcards can do this for you. As the Las Vegas dice is crystal clear, people won’t suspect if there is something inside and to be remote controlled by people. So magician can use it for the magic show and it can bring lots of amazed effect. 1. Remote control dice's outlook is the same as normal dice's.